NEW! 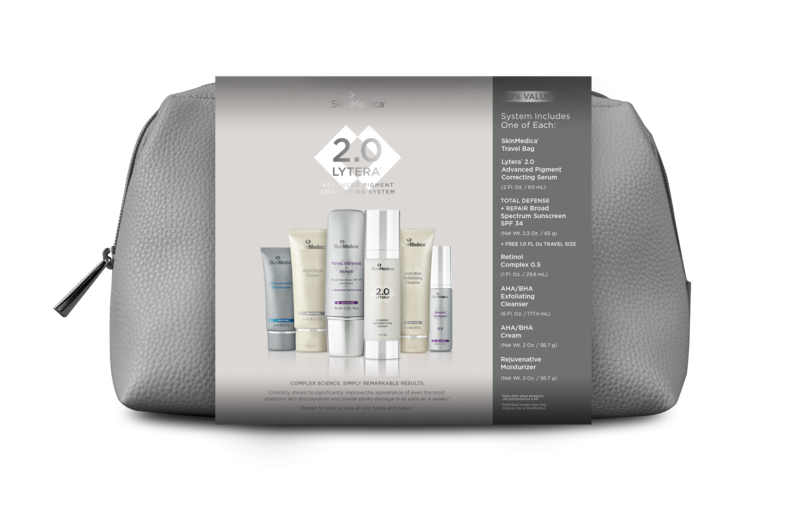 The Lytera 2.0 Advanced Pigment Correcting System is your complete 2x-a-day regimen for clear, bright, smooth skin. Each product in this kit was carefully selected to work in concert together to minimize the appearance of skin discoloration and dark spots, gently exfoliate to improve skin tone and texture, and provide the nourishing moisture and SPF to maintain and protect your renewed complexion. The system is a great value at about 20% less than the price of the products purchased individually, and with daily use should last about 3 months. 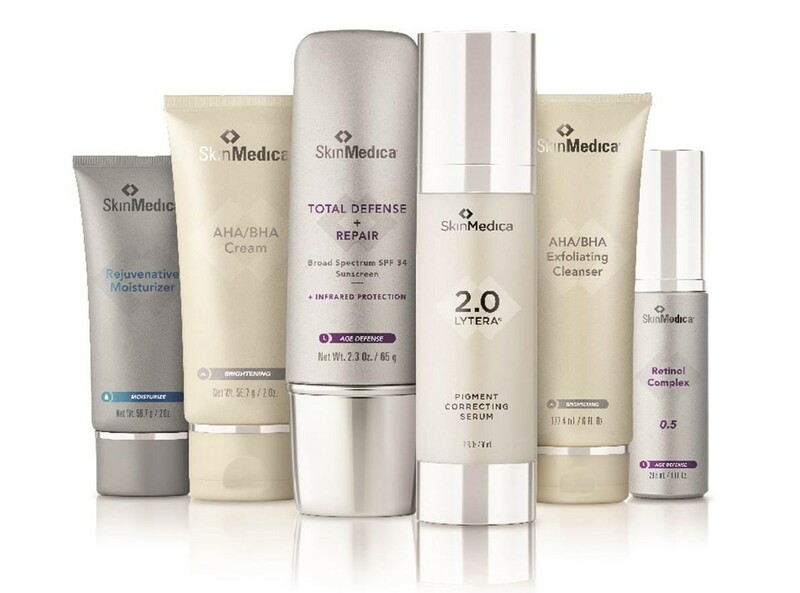 When used daily, these products have been clinically proven to show improvements to hyperpigmentation and photodamaged skin after 4 weeks. Visibly dramatic improvements appear by weeks 8 and 12. This system supports overall skin renewal and infrared protection, and is effective for all skin types and textures. 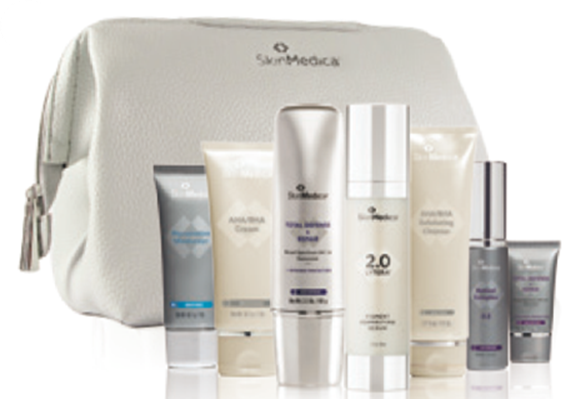 You could earn 200 Brilliant Distinctions® Points with the purchase of this kit = $20 off a future SkinMedica or Latisse purchase. Buy now, and you'll also get a $40 rebate coupon from Brilliant Distinctions to save on your next purchase of this system. Join now. Zippered travel bag to take it all with you wherever you go! Using warm water, cleanse your face with AHA/BHA Exfoliating Cleanser, massaging gently into skin and rinsing thoroughly. Pat your skin dry with a soft towel. Apply one pump (about a dime size) of Lytera 2.0 Pigment Correcting Serum to face, neck, and chest as desired; allow it to absorb completely. Spread a thin layer of AHA/BHA cream over face, neck, and chest and allow it to absorb. Wash your face with a mild cleanser such as SkinMedica Facial Cleanser, rinsing with warm water and patting dry. 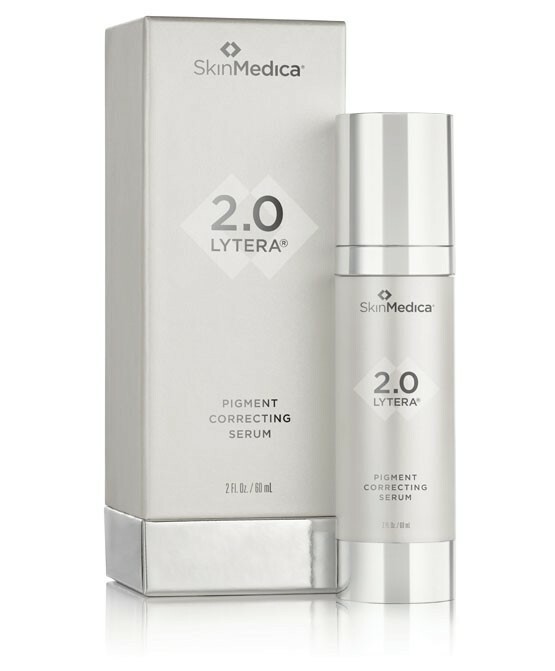 Use another single pump of Lytera 2.0 Pigment Correcting Serum on face, neck, and chest and let it absorb fully into your skin. Apply one pump of Retinol Complex 0.5 to your face. If you’re new to retinol, gradually work your way up from 2x per week to nightly over the course of a few weeks. Always use extra sun protection during the day when using a retinol product.